This 4-hour course is designed and approve to meet CE requirements for Wisconsin plumbers. In the course, we’ll cover basic plumbing principles, general requirements and standards for plumbing, and important codes to know for drains and vents. We’ll spend some time going through Subchapter III, covering sanitary drain systems, how to calculate loads on theses systems, and properly connect branch drains, directional changes, and more. After that, we’ll turn to vents and venting systems, reviewing the general principles before discussing specific situations and appropriate sizing. We’ll discuss drain traps and direct-fixture connections, and the codes that address these in Wisconsin. Chris D'Amato is the instructor and industry expert for Plumbing Trade Courses. With over 25 years experience, he has held a Journeyman Plumbing license since 2001 performing all aspects of plumbing in new construction, light commercial, remodels and service. Chris manages his own multifaceted plumbing shop coordinating a wide range of services from Property Management accounts to plumbing whole subdivisions and providing services to large living facilities for the the State of Oregon. 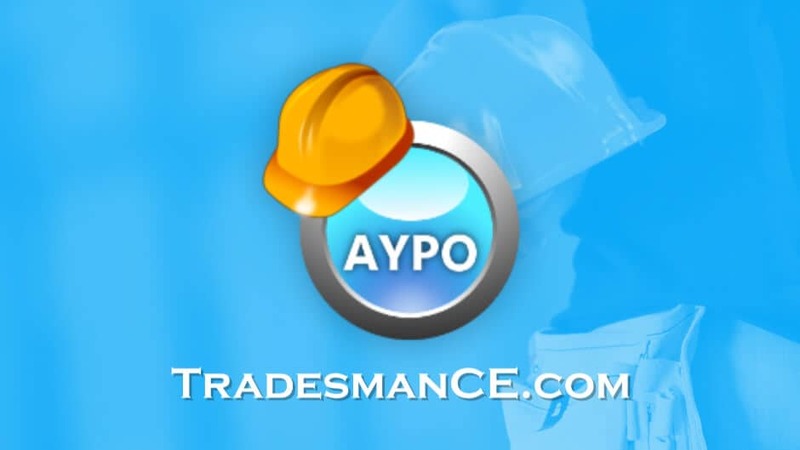 In his tenure at AYPO he has helped thousands of plumbing licensees keep up with their continuing education requirements. The course was handy, and a good refresher. Also I had a question and a representative called me back very promptly! Thank You! This is a very nice course and easy to navigate through. You have a few typos and incorrect answers to questions that you list as the correct answer.